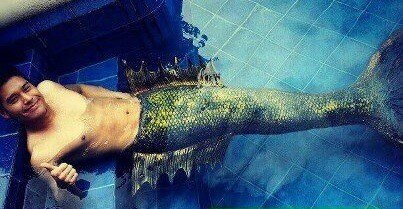 Nowadays, even men were now wearing the mermaid's tails and portray merman in the different fantasy series. In 2011, Alfred Vargas and Ahron Villena portrayed mermen in the ABS-CBN's fantaserye "Mutya." This year, it was the Kapatid actor JC De Vera who took the same role. In the story, JC played a merman daddy.